Barks and woofs overlaid snarls and growls coming from the shaded depths. Adam followed the noises, scanning the ground for a hefty stick. Each one he chose broke apart, raining particles of rot onto his shoes. He took the ball launcher out of his pocket. The sound of rattling chain link alarmed him, and he extended the handle as he ran to the park’s boundary. Not a sturdy weapon, but it served. Mary approached and retreated from the fence repeatedly, barking furiously. On the other side a yipping and whining animal tracked between a mound of leaves and the fence. It snarled, lunging at the fence with teeth bared as if to attack Mary. “GEE-Yah! GEE-Yah!” Adam screamed in the time-tested bellow his father taught him that never failed to scatter unfriendly—and friendly—dogs. The coyote retreated to the leaf pile. It scrabbled at the ground, and Adam sickened at the glimpse of dull red that suggested a gutted squirrel or rabbit. Facing those amassed at the fence opposite, the coyote displayed its teeth, contorted its mouth, and emitted varied menacing vocalizations. Adam witnessed what he surmised was caterwauling. Adam regained the Ultra-Fling, loaded a fist-sized rock, and flung it over the fence. He followed with several more. He hit the coyote hard, resulting in a yelp. Another rock contacted with the coyote’s snout, and it released the small prey it tugged in the pile. A third hit ricocheted from a solid tree at the coyote’s back to a smaller hollow tree. The reverberations startled the coyote, and it sprinted into the woods. 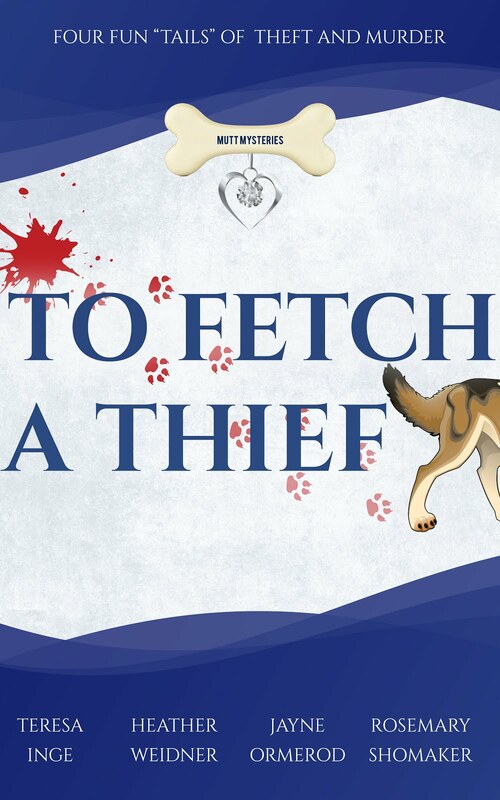 BUY YOUR COPY OF TO FETCH A THIEF TO FIND OUT WHAT MYSTERY AWAITS ADAM AND HIS DOG MARY AT THE DOG PARK.